With 10 years experience in landscaping, I started Custom Nature in 1992 and have been at it for 24 years now. Since the beginning Custom Nature has specialized in residential landscaping and in 2000 expanded to include masonry. We can handle everything from simple lawn replacements to sprinkler systems and drainage, decks and paver patios to engineered retaining walls and security gate columns. I believe having a good rapport with my clients is important and hope you chose me for your landscaping needs! I believe in keeping my clients as informed as possible, so they can feel comfortable about the installation decisions they are making. Attention to detail and doing things right the first time are key to the success of Custom Nature. Landscape architect and contractor Jim Redman has been designing and installing imaginative and functional custom residential landscapes and hardscapes for 25 years. Easy going, trustworthy and thorough describe Jim and his team of talented masons, carpenters and landscape professionals. We'll get it done right, on time and with maximum value. Member ASLA and CLCA Please call or email today for a complimentary on site consultation. 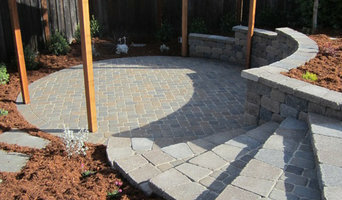 Landscape Contractor, specializing in building and installing custom landscapes. We specialize in complete design and project management. Our aim is to ensure client support and satisfaction through two-way communication, up-to-date technology, skilled craftsmanship and integrity throughout the process. Since our company is family-owned and managed, we are hands-on; personally involved in every aspect of each project, large and small. We feel vested in and committed to our work, and we understand that the work we do will have a powerful impact on the lives of our clients. 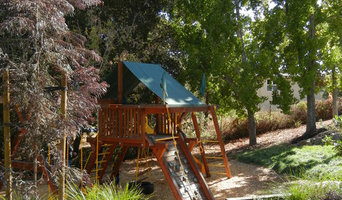 The Great Backyard is a design install landscape construction company focusing on creating new or remodeling existing exterior spaces of residential home properties of local Sonoma, Napa, Marin and other San Francisco Bay area counties. 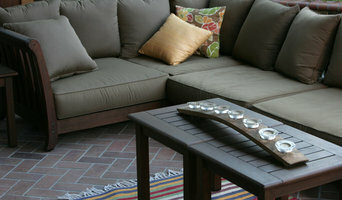 Owner Bruce Antognini envisions and designs all of the Great Backyard's beautiful outdoor spaces. He regularly attends and oversees all stages of work for every job. It's common to find Bruce putting his own labor into developing projects alongside fellow company installers, ensuring every detail is just right. Bruce and the Great Backyard work with all elements of both front and back yards. Very dedicated to please all past, current and future clients by keeping high standards of respect for listening to what concerns and or wishes a client may have for their space. All designs are created to compliment the natural beauty of the many diverse locations of the S.F. Bay area, keeping a very organic yet contemporary feel. Working with mostly native species of plants found throughout the region. Not only does our company believe care and satisfaction for the client are most important, but care for the environment and habitats of every space is taken into deep consideration. Supporting nature by conserving water and inviting vital species of pollinators and other creatures by plant choices are just standards of our company. Giving clients the ability to own a piece nature in their own yard. 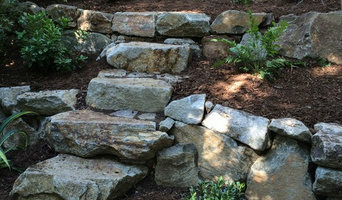 The Great Backyard is an excellent choice for creating hardscapes, softscapes, irrigation, unique and custom water features, wood and stone structures, lighting, outdoor sound and specializes in natural stone gardens. We will make your yard a "GREAT" place to be.